January 9, 2012 (Westbury, New York) - VasoMedical, Inc. (“Vasomedical”) (OTC: VASO.PK), a leader in the manufacture and sale of devices for the non-invasive treatment and management of cardiovascular diseases and a leader in the sale of diagnostic imaging products, announced today announced the inclusion of a chapter on its proprietary Enhanced External Counterpulsation (“EECP®”) therapy in the publication of the book Scientific Basis of Healthcare Angina, CRC Press, edited by Colin R. Martin and Victor R. Preedy. 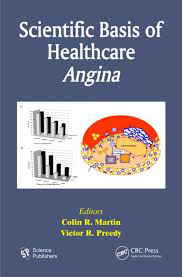 The multi-chapter book on angina covers, inter alia, epidemiology of angina, coronary plaque rupture, angina questionnaires, American College of Cardiology/American Heart Association guidelines for nursing care, non-invasive coronary angiography, drugs used in angina, thrombin inhibitors, and enhanced external counterpulsation therapy. The chapter entitled Enhanced External Counterpulsation Therapy in Coronary Artery Disease Management, written by Dr. Ozlem Soran, Associate Professor of Medicine, Associate Professor of Epidemiology and Director of the EECP® Clinic at the University of Pittsburgh Cardiovascular Center in Pittsburgh, PA, and Dr. Debra L. Braverman, Clinical Associate Professor of Rehabilitation Medicine and Clinical Associate Professor of Medicine at Thomas Jefferson University, and the Director of EECP® at Albert Einstein Medical Center in Philadelphia, PA summarizes the current evidence to support the role of EECP® therapy in coronary artery disease management. It is expected that the publication of this book, with its informative and insightful chapter on EECP® therapy, will increase greater awareness of the role that EECP® therapy will play in providing clinical benefits for angina patients around the world. For more infomation about the book, please click here.